Medical garbage and waste are unwanted biological products which are infectious in nature. The waste contains materials which have been contaminated by body fluids or may have viruses, bacteria and harmful drugs from therapies. The importance of biomedical waste container is high in the medical facility’s training and safety procedures. Hence, Sheetal Group produces superior quality hospital waste bins for correct waste disposal at hospitals and medical clinics. The safety of the patients is significant to hospitals, making these containers and bins extremely important in areas where patient’s health and safety is at risk. Hygiene is the top focus where healthcare is of primary importance. Our bins have antibacterial and microbial properties, which ensure that the bin is not responsible for spreading any kind of disease or infection. 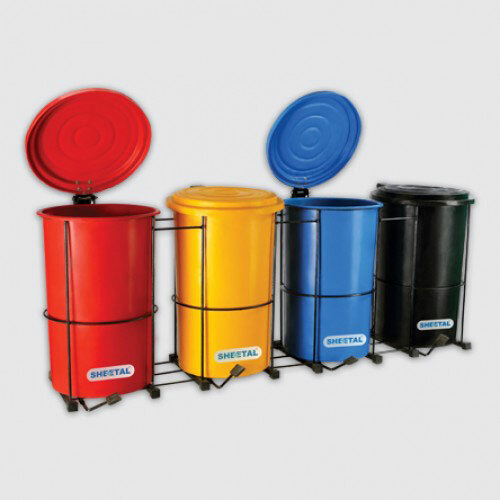 We, at Sheetal Group, offer a wide range of biomedical waste containers regarded for high quality, strength, and durability. Our range is corrosion resistant and created keeping the preferences and requirements of clients in mind. Our professional and skilled experts deliver a whole range of world-class range of products. Looking for biomedical bins at affordable prices with superior quality? Look no further. 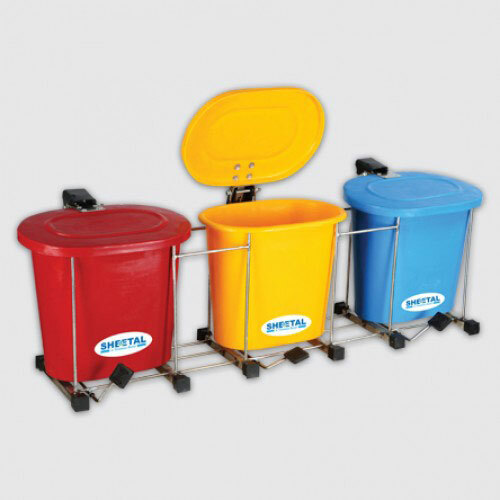 The Sheetal Group offers biomedical waste containers, biomedical waste dustbin, biomedical waste segregation bins in a wide variety and sizes of biomedical bins.